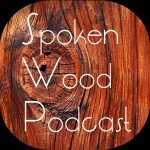 Today’s episode was written by Drew DePenning for the “Popular Woodworking Editors’ Blog”. It’s titled “White Water Shakers — History Online” and was originally posted January 19, 2010. To find more great articles like today’s post, visit the “Popular Woodworking Editors’ Blog” at www.blogs.popularwoodworking.com/editorsblog. « What’s Up With The Feeds?